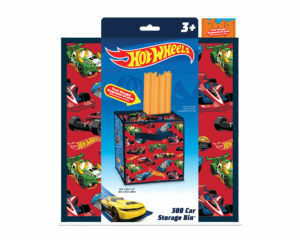 Hot Wheels™ Track Storage is an easy way to store your Hot Wheels™ cars and tracks. It’s perfectly sized to fit into most modular storage units. When empty, the cube can be collapsed flat for later use. 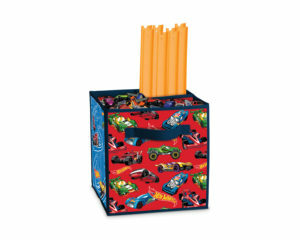 Each for he four sides features a different Hot Wheels™ image! Hot Wheels™ and associated trademarks and trade dress are owned by, and used under license from, Mattel, Inc. © 2017 Mattel, Inc. All Rights Reserved.